All little towns and communities in Denmark have a village grocery which is often a good little walk to get to if you live out in the country. 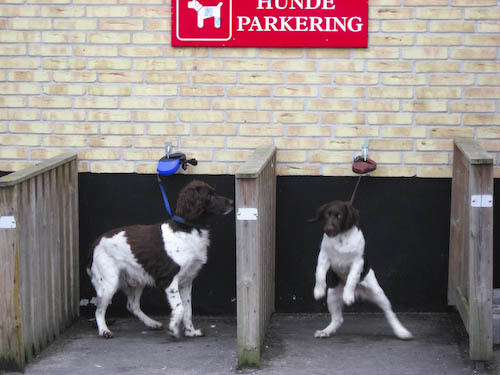 So if you have to get some milk, you end up taking your dog along for exercise which is why you see these hunde parkering spots on the side of many of the grocers. Brilliant! That’s neat. It’s like taking your horse to the town mercantile store in Days of Yore and securing him to a post outside while you shop. All they need now is a water trough! That is so cool! I’d say I wish we had that here, but living in Arizona, the poor little dogs would be far too hot and miserable six months out of the year. That is so cute! And what a cool idea. 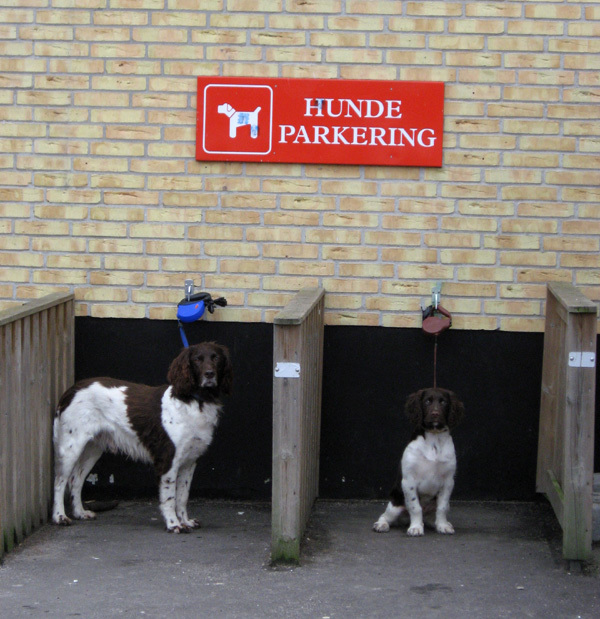 I take my dog shopping but we don’t have the parking areas here in UK. Today while I paid for my vegetables he managed to loosen his lead and stole an apple from the display outside the shop. Fortunately the greengrocer laughed and said he was a good advert for her produce!Pleased with his success he stole a scrubbing brush from another shop but I made him take it back. He likes shopping but hates the library, he howls until I come out.